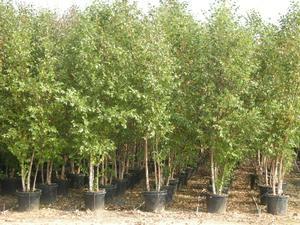 A birch with superior leaf color both summer and fall. Bark is also more creamy white than the species. More resistant to borers and leaf miners, and is easily transplanted if necessary.